It’s no secret to those who know me personally that I am not a huge fan of the Harry Potter novels. Needless to say, if these novels or any others encourage reading in children, that alone is reason enough to admire & respect the authors. So, a few months ago, J.K. Rowling enters the adult fiction genre with her latest book, The Casual Vacancy. After reading so many of the bad reviews that were unrelated to the quality of the book itself (silly comparisons to Harry Potter, for example), I realized one thing: many readers simply do not understand the purpose of the reviewing ability many websites give them. I estimate that approximately 20-40% of reader reviews are unfair & biased (which is their right upon coughing up the cash for the book, technically). Many are useless in that they tell you nothing about the book itself. I’m one of those avid readers who will peruse dozens of reviews for a work of fiction, to aid in my buying decision. This is especially the case, when deciding whether to buy a new book that a seasoned author has written, when I didn’t care for the previous one(s). Even if I don’t like a book, I don’t always give up on an author and when reviewing, I try to find some redeeming quality to share along with the negative aspects, after all, I’m a writer as well. In order to determine if these biased ratings on the part of some reader reviewers seems to be a trend, I analyzed the bad reviews for many well-known writers of several fictional genres and some neophyte, self-published writers on Amazon. Not that one has to write a dissertation on what they loved or disliked about any book, but so many of the reviews I saw (only looking at one and two star ratings) were a mere 1 to 3 sentences of “Why does this book cost so much?” or “This author can’t write” diatribes. Some of them were so idiotic and vicious, that I began to wonder if they were the ex-lovers or former, childhood bullying targets of the author, under the guise of a pseudonym, dishing out karmic revenge. Yes, some were that bad. Folks, the purpose of a review is to share your assessment after reading a novel or at least after reading the free sample available for most books. Either you’re going to love or hate the book, or find yourself somewhere in between, but the review is to give honest feedback to other, potential readers. If you hate (or love) a book, be specific in describing why. Were the characters realistic, memorable or believable? The dialogue? How well did the author make use of literary techniques? Did the book use adequate, excessive or too few descriptions? Did the book contain grammatical errors? Those are the types of questions that readers should answer in a review. If you’re only going to say, “I didn’t like the book” (excuse my candor), but can you please explain why you didn’t like the book when reviewing? Otherwise, you’re wasting your time and that of potential readers like me, who rely heavily on reviews. The other point I’ll make, is that if you’re unhappy about the price or availability of a novel (for example), the review section is not the place for those types of complaints, especially since such complaints usually come from those who have not even read the book. It’s very unfair for an author to take a ratings hit by someone who hasn’t even read their book. Those hits are even harder to withstand if you’re the struggling, self-published writer, as so many are, without the backing of a major publishing house, mainstream, professional reviews or the coveted window spot in your local bookstore. Go to the author’s website and utilize the contact information, utilize the complaint section of the bookseller website administrators or utilize the chat forum of sites like Amazon to create a topic about how Book X’s price is too high, not the review/ratings feature of websites. With that said, I’m not the ratings police officer, but after observing so many vague or unfair 1 and 2 star ratings, I thought I’d remind folks of the purpose of the ratings feature. 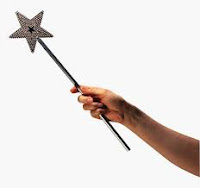 To my fellow writers, I cannot wave a magic wand & make your negative ratings disappear, but given the percentages of unfair ones, learn to take some of them with a grain of salt and others to improve your writing. On another note, given the number of authors who utilize paid reviewers out there, who give 5 star ratings because, well…they are paid to do so, perhaps that brings some balance to the entire system…or karmic revenge. “Most of our failures are not due to a lack of effort, but rather to a contentment with mediocrity..."